2. Are all your cigarettes genuine and fresh? At Cig4u.com we offer FREE shipping on all orders. What’s even better, every parcel is insured to be 100% protected against any mishap occurred in transit such as damaged, lost or stolen items. 6. Are my details secured? We strive for the highest protection available for our customer’s confidential and personal information. We do not sell, rent, trade, share or transfer your personal data to any third parties. 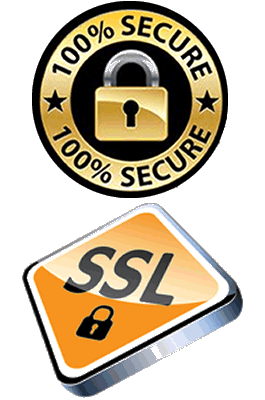 We use the latest SSL encryption (128 bit) technology to ensure all your details are kept secure. 7. How do you ship? 8. What happens to my delivery when I’m not home? If you are not at home at the moment of a delivery, you will be left a notice stating a delivery was attempted. Please follow the instructions regarding an alternate delivery date or package pick-up. If this is a requirement, our customer service team can track your order for you upon request. All packages shipped have a unique tracking ID that we can monitor and keep you aware of its progress until it reaches its final destination. 10. I made a large order, but I only received part of my order, can you please explain what happened? If the order consists of more than 2 cartons, your order is shipped in multiple packages for security reasons. This means that the packages may arrive a few days after the first one is received. 11. What countries do you deliver to? We ship our goods only to the United States of America. 12. Can I place my order by phone? 13. Why aren’t you answering my emails? 14. Help! I forgot my password. What do I do? 16. Is it legal to sell tobacco products online? Yes, it is legal. All products sold in our store are trademarked and are purchased directly from the manufacturer. The minimum age to legally purchase cigarettes or other tobacco products on Cig4u.com is 21 years old. 17. What is the charge-back policy? 18. What do all these order statuses mean?